A short description about the company “A-Line Co., Ltd.” would help many anime and manga fans learn more about this company. 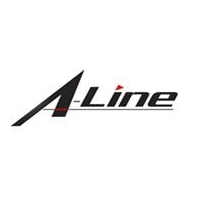 Do you know what “A-Line Co., Ltd.” is all about? Then feel free to add a description to our database using our entry form. We’re looking forward to your contributions! Web, 8 (2017)Midori no Kuni no Otomodachi: Koeda-chanA-Line Co., Ltd.
TV-Series, 23 (2001)Pachislo Kizoku GinA-Line Co., Ltd.